We are proud to announce that at the recent Mundaring Chamber of Commerce Business Excellence Awards we were awarded – Home Business of the Year 2013 AND Overall Business of the Year 2013. Leilani was awarded the runner up Rural Industries Woman of the Year Award in February 2013. 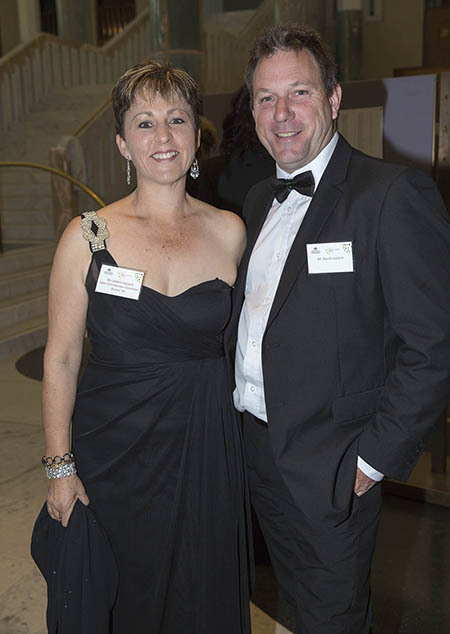 Recently Leilani and David went to Canberra for the National Dinner awards night for all the State winners. Honey Week 2013 Are you curious about bees or how honey is produced? Did you ever consider keeping bees yourself? Find answers to all your bee related questions during Honey Week 2013, between 29th of April and 5th of May. A big Honey Festival on the 5th of May will conclude the week. From 11 am to 4 pm the House of Honey 867 Great Northern Highway in Herne Hill will bee abuzz with bee activities. You will be able to meet beekeepers, observe how they load a truck and light a smoker, listen to talks and see a bee close up under a microscope. There will be children’s activities and face painting, food, drink and music for you to enjoy. Information about House of Honey and flyer Honey Festival here.